In July 2017, the Securities and Exchange Commission (SEC) released a Report stating that decentralized autonomous organization (DAO) tokens issued by The Dao were securities for purposes of the Federal securities laws. In September 2017, the SEC issued an administrative order, In re Munchee, Inc., shutting down an initial coin offering (ICO) for a company developing a mobile app using blockchain technology, despite the company’s having obtained a legal opinion that their token was a utility token and not a security. These developments are discussed in greater detail on our ICO page. Seasoned securities lawyers had previously viewed most token sales as being sales of passive “investment contracts” and thus coming within the legal definition of securities. In theory, not every token should be classed as a security. If the token represents the right to make use of a service or product, and has characteristics similar to a license or franchise, then an argument can be made that it is not an investment contract and thus not a security. Thus, some lawyers are still taking the position that such a “utility token” is not a security. Unfortunately, the SEC has issued little guidance on the subject beyond the two releases mentioned above, and to date the Federal courts have not addressed the issue in a single case. The SEC’s Chairman in a recent speech has made it clear that the SEC is aggressively monitoring ICO’s that rely on technical arguments and structures to avoid being classified as a security while violating the “spirit of our securities laws and the professional obligations of the U.S. securities bar.” As a result, many securities lawyers are now recommending to their clients that they assume that their ICO tokens will be considered to be securities. This is especially true if the marketing of the ICO emphasizes its potential as an investment. The Federal securities laws were enacted in the 1930’s and 1940’s, well before the invention of ICOs, and the world of finance has become much more sophisticated since then. Some even argue that modern finance could not have grown to its present state without proper regulation. It seems unlikely that the SEC is going to kill off ICOs outright; rather, the agency appears to be interpreting its authority broadly to ensure that ICO’s are regulated the same as traditional securities and receive a similar level of investor protection. There are a number of routes that may be taken to make an ICO legal under current U.S. law. This article will focus on the exemptions from the registration requirements of the U.S. Securities Act of 1933 (the Securities Act), which governs the offer and sale of securities. But keep in mind that in most cases the ICO must also pass muster under the state securities (“blue sky”) laws of each state in which a token sale takes place. This article is meant for the layperson, so, we are going to ignore some technical aspects and generalize various concepts in order to make it reader friendly. Ideally, this article is not meant to offer legal advice. It is always imperative to seek legal help from a qualified and experienced lawyer in the field who can provide services that are tailored to your needs and circumstances. The typical ICO is conducted in two phases. First, there is a “pre-sale” to a small number of sophisticated investors with experience in ICO investments (sometimes referred to as “whales”). The pre-sale is usually conducted when the company has a whitepaper outlining its token but has not yet developed and implemented its full business model. The proceeds of the pre-sale are used to fund the development costs and to complete the implementation of its token and its blockchain-based business. The company then makes a public sale of its tokens to raise a larger amount of capital. In the U.S., a pre-sale will typically be structured as a private placement under SEC Rule 506(d). The follow-on token sale to the public is usually done in the offshore market under SEC Regulation S. Making a public sale to U.S. investors in reliance on the utility token argument risks having the offering shut down by the SEC. Therefore, we believe that most ICO issuers will have to treat their public token sales as securities offerings, and their compliance options will come down to either registration as a public offering under the Securities Act, a “mini” registration under SEC Regulation A or a registration exemption. These options are discussed in the remainder of this article. Preventing misrepresentations, deceit and fraudulent activities in the sale of securities. Making sure that that investors receive adequate disclosure of financial and other important information regarding the securities being offered for sale. In order to achieve these goals, the Securities Act requires that any offer to sell securities be registered with the SEC unless it satisfies an available registration exemption. Registration of a public offering with the SEC under the Securities Act is an expensive and time-consuming process, which is why companies looking to raise capital often seek an exemption from registration. A registration statement, including a detailed prospectus, must first be filed with and cleared by the SEC staff. The prospectus is required to include fully audited financial statements prepared in accordance with general accepted accounting principles in the U.S. Once public, the issuer of the securities will be subject to the ongoing obligations to file financial and other reports with the SEC. These include quarterly reports containing unaudited financial statements (Form 10-Q), annual reports containing audited financial statements (Form 10-K), and an annual shareholders report and proxy statement for the annual stockholders meeting. The advantage of an SEC registered ICO is that the tokens may be offered to anyone in the U.S., and a secondary trading market can be established on an online portal or even a stock exchange (assuming the exchanges and Nasdaq eventually allow the listing of security tokens). It is not known at this time what conditions and standards of review the SEC will place on publicly registered securities tokens. Because the registration statement will require the inclusion of audited financial statements, we believe that the registered tokens will not only need to be securities tokens but equity securities tokens–that is, tokens that will be considered equity securities for purposes of U.S. generally accepted accounting principles (GAAP). For instance, the tokens may be structured as a class of non-voting stock having specified dividend and liquidation rights. Since the 1980’s, firms have been raising capital privately using Rule 506 (which is a part of the SEC’s Regulation D), which provides an exemption from registration for private placements. Billions of dollars are raised each year under this exemption. Key requirements of Rule 506 included limits on the number and sophistication of the investors and a prohibition on advertising and general solicitation. In effect, the prohibition on general solicitation and advertising means that a Rule 506(b) private placement may only be made to a private group of investors, family members and friends with which the issuer has a substantial relationship. This often hampers the issuer’s ability to raise capital. There is no prohibition on general advertising and general solicitation. Each investor must be accredited. The issuer must independently verify each investor’s is accreditation. The rule contains four acceptable methods for verification, such as obtaining the investor’s tax returns, bank or brokerage statements or an accreditation letter from the investor’s accountant. Rule 506(c) is the natural choice for an ICO pre-sale. It is designed for securities offerings to a small group of wealthy, sophisticated investors, which is typically the targeted investor pool for a pre-sale. Rule 506(c) offerings are relatively inexpensive compared to registered offerings, and there is no limit on the amount of money that can be raised under Rule. Also, the Rule 506(c) exemption preempts state securities laws, reducing the cost of blue sky compliance. Rule 506(c) has some downsides. The ICO issuer must take “reasonable steps” to verify that the investors are accredited. (Many issuers outsource this process to a service like VerifyInvestor.com.) 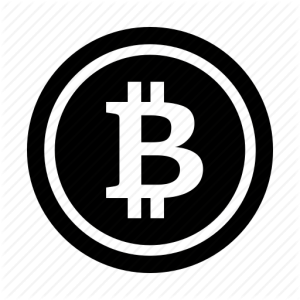 Another downside is that securities tokens sold under the Rule are “restricted securities.” This means that they must be held for at least one year before they can be resold into the public markets, and the number of tokens that may be sold into the public markets thereafter is limited in every six-month period to an amount determined by formula. Regulation A provides for a “mini registration” under the Securities Act. The issuer files an offering statement with the SEC, which it must provide to investors. The offering statement is like a watered-down prospectus for a registered offering. The requirements for financial statement reviews and audits are less stringent than for a fully registered offering. Regulation A+ is a substantial improvement over the old Regulation A. It allows for general advertising and solicitation as well as sales to both accredited and non-accredited investors. Securities offered through Regulation A+ are not restricted and may be freely traded in the public markets. Regulation A+ distinguishes two tiers of offerings. Tier 1 is for offerings of up to $20 million, while Tier 2 allows up to $50 million. Tier 2 offerings have the advantage of preempting state securities laws, which is not the case with Tier 1 exemption. While the North American Securities Administrators Association (NASAA) has a program to coordinate multi-state filings, the added expense of compliance at the state level is clearly a disadvantage of Tier 1. On the other hand, unlike Tier 1 offerings, Tier 2 offerings require fully audited financial statements as well as ongoing semi-annual and annual reporting requirements. Tier 2 offerings are also limited to (1) accredited investors and (2) non-accredited investors who token purchases do not exceed 10% of their net worth or net assets. Regulation thus A+ blends aspects of a fully registered securities offering with the less costly and more flexible aspects of a private placement. Most companies making ICO public sales will probably want to use Tier 2, even if they are raising less than $20 million, because of the blue sky preemption. At the time of writing, several ICOs have been filed with the SEC under Regulation A+, and we expect to see many more in 2018 and beyond. Many companies wish to avoid SEC regulation of their public ICOs, and thus make them under Regulation S. This of course means that they cannot sell to U.S. investors. However, as the international market for ICOs is large, this has not deterred many ICO issuers. 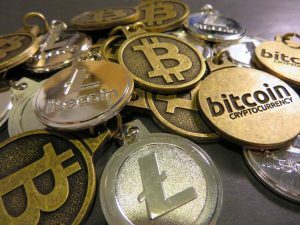 An offshore Regulation S offering must include protections to ensure that the tokens can not be resold into the U.S. in violation of the Regulation. A Regulation S offering can be done at the same time as another offering to U.S. investors under another Securities Act exemption. For instance, an issuer can make a Regulation S offering to non-U.S. investors alongside a Rule 506(c) or Regulation A+ offering to U.S. investors. However, careful attention must be taken when conducting concurrent offerings under different exemptions to ensure that everything is in compliance with the conditions of each exemption. If you plan to take this route, it would be wise to consult a securities lawyer with experience in concurrent regulation exemptions. One downside to Regulation S is that it is only a federal exemption, and most state securities laws do not contain a similar exemption. However, most states do not regulate securities sales to purchasers not located in their state, so this is usually not a problem. Equity crowdfunding is the online offering of securities to investors. In the U.S., there are two types of online equity platforms: (1) accredited investor platforms, and (2) JOBS Act portals. An accredited investor platform is a website that enables accreted investors to purchase securities from a wide range of offerings listed on the platform. The listed offerings are usually structured to comply with Rule 506(c), which permits general solicitation and advertising, so there is no issue with advertising and promoting the platform or its listed offerings. The securities offerings themselves are structured as separate private placements, and the disclosures that would typically be in a printed private placement memorandum are instead made available on the portal. The portal typically restricts access to accredited investors, but the issuer is ultimately responsible for verifying each investor’s accredited status. Depending on the structure of the portal, its operator may be required to register with the SEC as a securities broker–dealer. A creation of the JOBS Act, equity crowdfunding became legal for the first time in the U.S. in June 2015, when the SEC implemented its equity crowdfunding regulations. These regulations are modeled on the SEC’s regulations for securities broker–dealers, and requires the portal to register with the SEC as a crowdfunding portal. The main advantage of conducting a securities offering through an equity crowdfunding platform is that non-accredited investors may participate. As 96% of the persons in the U.S. are not accredited, this opens up the offering process to a much larger number of people. 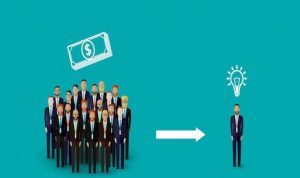 The main disadvantage of equity crowdfunding is that an issuer is limited to raising a maximum of $1 million dollars in any 12-month period. Several crowdfunding platforms, such as Start Engine, allow tokens to be sold. One innovative use is to use the crowdfunding platform for air-drops, as discussed in our blog article. For further information, please visit our sister site crowdfundinglawyer.us. Both of these Rules provide an exemption for offerings limited to a single state. We are not aware of any ICO’s being made under these intra-state exemptions, but is conceivable that they could be used for an ICO in a large state such as California or Texas where there is a large investor base.